They say it will take several weeks to recover the treasure as the cavern may be booby-trapped. The Amber Room was an 18th-century chamber inside the Catherine Palace in St. Petersburg. It was decorated by amber panels backed by gold leaf. The room was looted in 1941 during the Nazi invasion. Its last known location was Kaliningrad, where it was reported lost following an allied bombing raid in 1945. 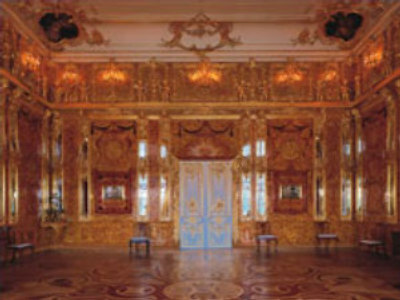 The Amber Room was recreated in Saint Petersburg in 2003.